We stock a good selection of British farmhouse and artisan cheesesand a few specialist continental cheeses. Please ask if you would like to taste before you buy. Wookey Hole, Cheddar Gorge and Montgomery cheddars, Thomas Hoe Red Leicester, Appleby’s Cheshire Black Bomber, Berkswell, Keens, Dambuster. Suffolk gold, Hereford Hop, Cornish Yarg, Caperphilly, Swaledale, Sharpham Rustic. Wigmore, Sharpham Brie,Cornish Organic Brie, Kidderton Ash, Somerset Camembert, Kilree. Cashel Blue, Blue Monday, Blackstick Blue, Colston Bassett Stilton, Cornish Blue. 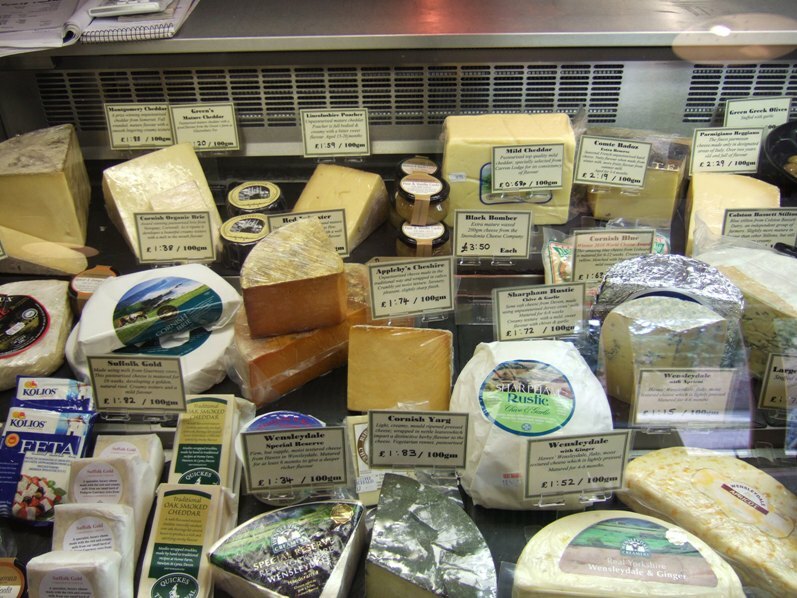 We also stock a wide range of tempting biscuits and chutneys to accompany your cheese. Cows’ milk soft cheese from the Champagne – Ardenne area, has a creamy taste with a pleasant tang in the tail. Please feel free to ask to taste any of our cheeses before you buy.